Well my ride with the Fuller Center for Housing Bike Adventure ends tomorrow. 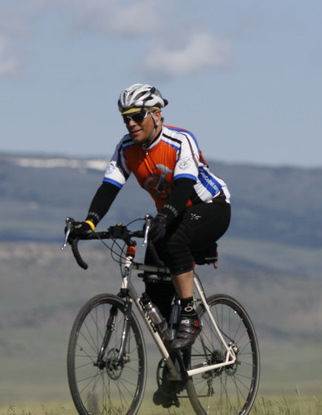 It will be my final ride and day, climbing to West Yellowstone, before returning to Seattle — and what a ride it has been! I always wanted to ride my bike across Washington state. I was given the opportunity to extend and ride for the second week (the segment from Kellogg, Idaho to West Yellowstone, WY). How could it get any better than that for a middle-aged weekend warrior who loves the outdoors and loves to ride his bike? The scenery I have seen cannot be fully captured on film. Water, water and more water since it has been a wet spring means the rivers and creeks are running high and hills and mountains that usually turn brown are still brilliant green. I marvel at the natural beauty and how it is another witness of God’s love for us as His children. Rocky, winding and tough uphill climbs force you to pace yourself and give your best efforts to the climb. Thrilling downhills that let you catch your breath again and cover a lot of ground rapidly. The potholes and cracks in the road that take your constant attention on the bike so you don’t crash out. The showers after the ride, when your muscles ache, make you glad when you have to turn the hot water down at the school or church. The constant packing, unpacking your gear, prepping your bike and getting everything ready for the next ride. The road wears on you, even with wonderful rides. But I am riding two of the nine weeks. Think of the people who are riding the whole way!! My hat is off to them. I would love to continue, but alas, I have a mortgage to pay and responsibilities at home. And then there is the people element to this ride. I am amazed over and over again at the generosity of the churches, schools, civic groups and just people in general at supporting our ride. Churches have fed us meals, even giving us the leftovers, given access to their buildings to sleep, eat, etc. Ministers from many faiths have prayed for us and over us. My faith in the goodness of people has been replenished. We have even had strangers ask about our ride across the country to raise funds for poverty housing and given us donations on the spot. Consider also the people on the ride. Many levels of riding experience, different faiths and ethnic backgrounds. Total strangers that get along so well you just don’t hear ill words. They have shared clothing that another was missing, helped one another change flat tires, cooked each other meals, washed each other’s clothes and helped build and remodel homes for those less fortunate. All for free, fund raising with others and even paying for the privilege of participating. Truly, I have been blessed to associate with such a group of people. Indeed, these are a few of God’s children who have chosen to follow the Savior in the best way they know how at this moment in their lives. This Fuller Housing Bike Adventure has been fulfilling in every way. May many other adventures happen for the Fuller Housing organization.